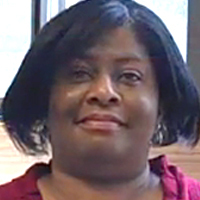 In this month’s Faculty Minute segment, MATC English instructor Myra George speaks about using VoiceThread as an alternative to the traditional text-based discussion board. VoiceThread is a free, online tool for creating multimedia slide-shows that include viewer comments in text, audio, and video format. It is a great tool to facilitate discussion centered around an image. Because the instructor and students can see and hear each others comments, it can be used to develop a sense of community and improve engagement in learning in online courses.